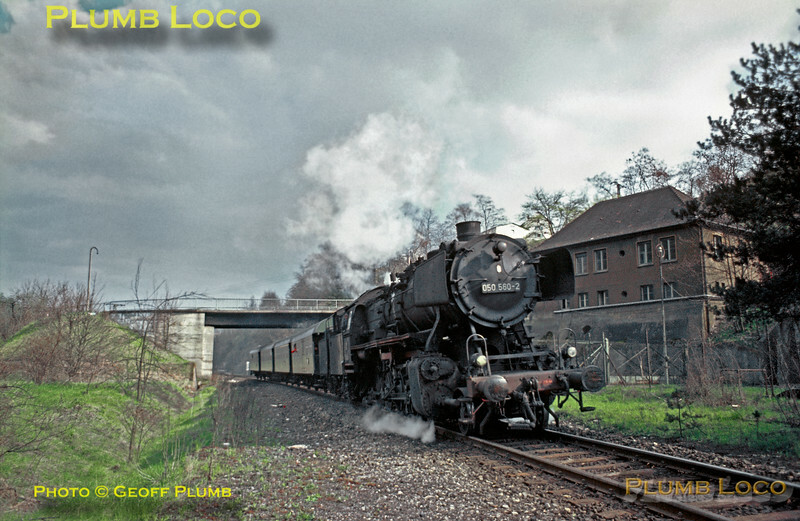 Mainly steam but also some diesel and electric locos in both West & East Germany, mostly taken in the early to mid 1970's. Pictures are in chronological order, oldest first. More will be added as time permits! 050 560-2 appears again on what was quite a busy diagram! Having been turned and serviced at the shed at Rottweil, it is now in charge of another local passenger train returning to Horb and Tübingen, here approaching the girder bridge over the River Neckar. Monday 4th May 1970. Slide No. 4859.